Camphor oil is extracted from the bark of camphor tree. Camphor is a coolant and is absorbed quickly into the skin. It has antiseptic and germicidal properties. It is used in many commercial topical rubs for pain and congestion relief. Camphor is an important ingredient in religious ceremonies for hundreds of years, but it also has a special place in folk medicine. It is easily absorbed by the skin, which combined with its medicinal properties provide a quick relief in ailments such as swelling, pain, cough among many others. Read on to find more about the amazing benefits that camphor has to offer. Camphor oil when applied on skin provides a cooling sensation and is used to stimulate blood circulation. Camphor is also believed to stimulate other systems in body such as metabolic, digestive and excretory systems. Camphor oil is an excellent antiseptic and germicide. In olden days people used to mix a few drops of camphor oil in large quantities of grains to keep them safe from insects. Mixing a couple drops of camphor oil into bathing water can help relieve a number of skin diseases. Camphor oil is also considered an effective remedy for toenail fungus. Camphor oil diluted with water or other neutral oils is used as a pain reliever. Camphor oil is very effective as a topical pain reliever and is used in a number of commercial pain-relief products. Pain caused by insect stings and bites, cold sores and hemorrhoids can be alleviated by topical application of diluted camphor oil. Camphor oil is widely used in chest rubs as a cough and congestion relief treatment. A cotton ball dipped in diluted camphor oil and rubbed on chest and neck provides symptomatic relief from congestion and pain associated with common cold and flu. 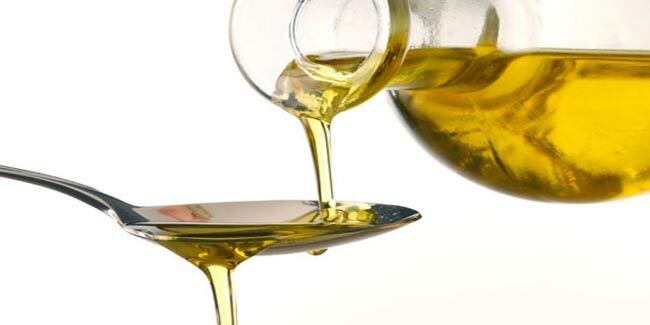 Sometimes intense pain is associated with muscle spasms, these muscle spasms are involuntary and camphor oil can provide instant relief in such cases. In cases of spasmodic cholera, camphor oil can be used for immediate relief from spasms. Camphor oil has a cooling effect and hence is a great anti-inflammatory agent. Camphor oil has been used to relieve inflammation, both external and internal. Researchers believe that topical application of camphor is effective in reducing pain associated with osteoarthritis. A medicinal cream containing camphor was used in scientific studies involving humans. The study indicated that the cream can reduce osteoarthritis pain at least by half. It is very important to note that camphor oil should never be ingested internally, if taken by mouth it can cause severe side effects and can lead to death. Camphor should never be applied on broken or injured skin, such an application can cause toxic buildup of camphor in bloodstream and can be very dangerous.